Acupuncture is a form of medical care that has been in use for over 2000 years. Acupuncture stimulates specific points in the body that results in a therapeutic homeostatic effect. Modern research shows that these sites are located in areas with a high density of nerve endings, lymphatic vessels, small arterioles and mast cells. Stimulation of these sites results in the release of beta-endorphins, serotonin and other neurotransmitters. It can be an excellent modality for pain relief. What methods of Acupuncture are there? Depending on the needs of the patient, there are different techniques that may be used. 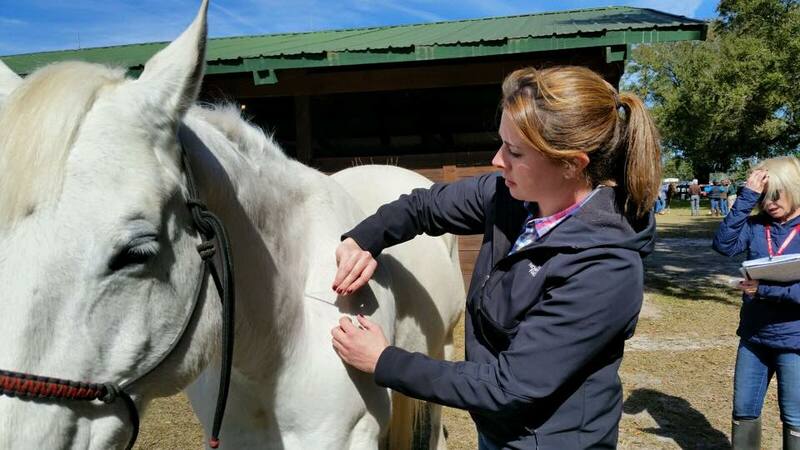 These include dry needling, hemoacupuncture, aqu-acupuncture, electro-acupuncture and moxibustion. A single treatments may be adequate however, this depends on the nature, duration and severity of disease. Chronic issues often require 3 to 10 treatments, whereas monthly treatments may be necessary for degenerative conditions. Neurological problems: seizures, nerve paralysis, laryngeal hemiplasia. ﻿Chronic conditions﻿: heaves, cough, uveitis, infertility, weakness, skin conditions, behavior issues. Performance enhancement and prevention of disease﻿.